Always call ahead! During lunch there is almost always a pretty hefty line, and if you call ahead, you still have to wait in that line, but at least your food is waiting for you at the end of the line! My go-to is the Basil Chicken, but everything I have tried here is solid. The Pad Thai is of special note. I am not a huge Pad Thai fan, but theirs is something special! Read my full review of Nud Pob here. Visit Nud Pob on the web here. 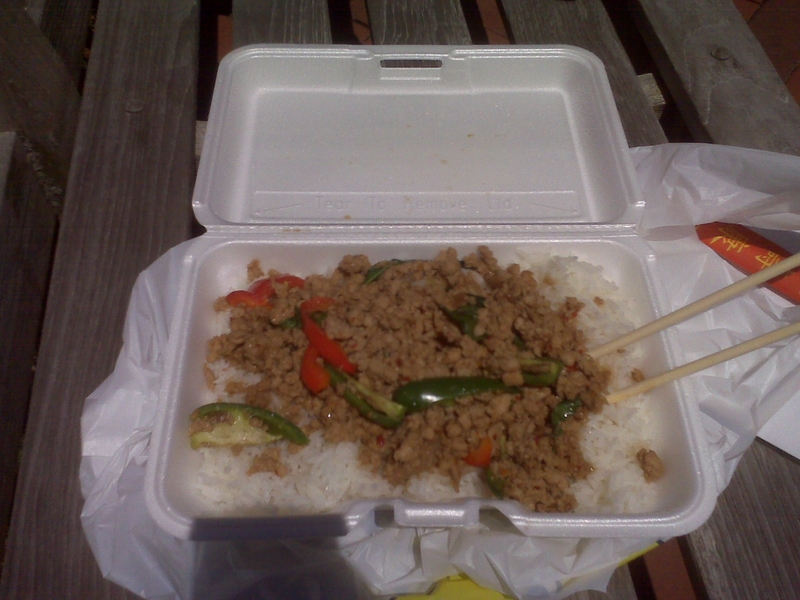 This entry was posted in Reviews and tagged boston, boston university, BU, kenmore square, lunch, MA, massachusetts, restaurant, restaurant review, review, take out, thai basil, thai food by reneeh. Bookmark the permalink. Yummy, I believe you took me there. Yum! I’ll put in a plug for my favorites too: vegetarian fresh rolls, tofu & veggie green curry, and tom yum soup with extra veggies. Love their new spot on Comm Ave!